The biggest difference between self monitored home security systems like Simplisafe vs Scout and professional monitored home security systems like ADT is that you are the point of contact when a sensor is triggered. Professional systems use your home’s phone line or cellular radio, and work even when the power goes out. These professionally monitored systems usually require monthly contracts, whereas self monitored home security systems usually only have one up front price, and any additional fees are only associated with video backup. 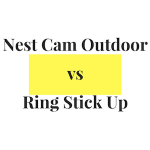 For this article, we reviewed Simplisafe vs Scout vs iSmartAlarm vs Canary vs Oplink. Each of these systems have proven track records of solid service, but some outshone the others when we put them to the test. There are a number of things you should look for when it comes to finding the best self monitored home security system, including the effectiveness of the communication, the ease of use, the design and interface, as well as features and functionality of the equipment. As far as easy-to-use, easy-to-install, and simple interface self monitored home security systems go, iSmartAlarm is our winner. While there are drawbacks, like the fact that the camera doesn’t take video, only allows you to take snapshots, the system itself works great and the customer service is the best on the market. 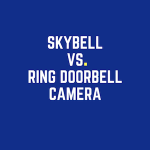 The door and window sensors are easy to install, and you can customize your home security system to arm all sensors, or just some so that you can open a window or back door to let the dog out without turning off all the alarms in the house. As far as customizable packages are concerned, Simplisafe is probably the best self monitored home security system on the market. When comparing Simplisafe vs iSmartAlarm, the reason it comes in at #2 is because of the expensive up front costs, and added costs for interactive features. The indoor security camera is fantastic, and the system is easy to install and easy to use, with a good looking interface through the app. For those looking for a more camera-focused self monitored home security system, Home8 Oplink is a great option and utilizes cameras with motion sensors that automatically activate when they sense any movement. The base package comes with two cameras, and additional cameras are easy to integrate into your network. There is a monthly fee that comes with monitoring with Home8 Oplink ($9.99/mo), but if you value the added security of having video of any potential threats, this would be a great option for your home. Some other products we tested were Scout and Canary. These products were decent options and they both had their fair share of positive reviews from our testers and online. 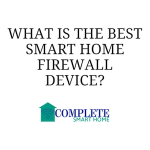 However, we found their feature sets, associated monthly costs and upfront costs, and ease of installation to be behind iSmartAlarm, Simplisafe & Oplink, so they didn’t crack our top three. In the end, self monitored home security systems are great tools at deterring intruders, and can alert you whether you are home or away from your house. They typically cost a fraction of that from the professionally monitored systems, but do many of the same things you’d get from a far more expensive system.